Bad news: Your 16-year-old was carelessly cruising down the highway when suddenly he was startled by the wail of a police siren. Slowing down at first sight of a cop didn’t cut it this time and he was left with his first traffic ticket that could cost YOU hundreds of dollars in insurance rate hikes. What now?Although the best way to get out of that ticket is to teach your teenager how to avoid it in the first place, Unger & Kowitt wants to make sure you know that all drivers, regardless of age, have three options when they do get that first traffic ticket. For a moving violation, paying the ticket is your worst option. Paying a ticket guarantees points on a driver’s license. Your teenager’s insurance premium is going to increase for at least the next three years because of those points. For a non-moving violation, you may be better off paying the ticket. While I know this may seem contradictory, you won’t receive points on your license for paying a non-moving violation and the ticket’s price tag is usually minor. This option is slightly better than the first option because in most cases, spending time in traffic school will successfully keep the points off your teenager’s driving record. While you may think this is an opportunity to teach your kid a lesson, traffic school can require anywhere between a 4-12 hour time commitment, plus an additional fee. Your teenager (and you!) have better things to do with your time and money. By law, a minor can’t hire a lawyer by himself. Teenagers need the support of a parent to hire an attorney. Most judges look down on teenagers. Make sure your teenager is prepared to be respectful and courteous in court to minimize this bias. Points on your teenager’s (or your) driver’s license=BAD! 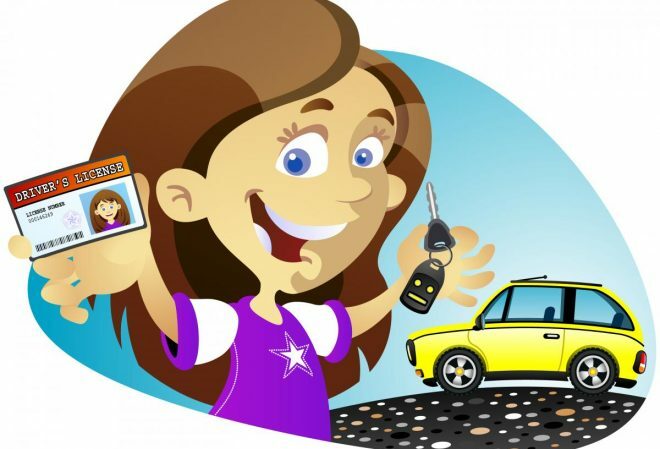 Your goal should be to avoid points when dealing with your teenager’s first (or any) traffic ticket, in order to avoid hundreds of dollars in insurance rate hikes and other unintended consequences. Whether you choose to hire Unger & Kowitt, another attorney, or fight it yourself, the best advice we can give you is to choose to FIGHT BACK. You should be trying to avoid points on your teenager’s driving record at all cost. If you (or your teenager) gets a ticket and you want to FIGHT BACK, call us at 800-489-4125. While you’re at it, your teenager can download our app below to get $5 off that ticket.